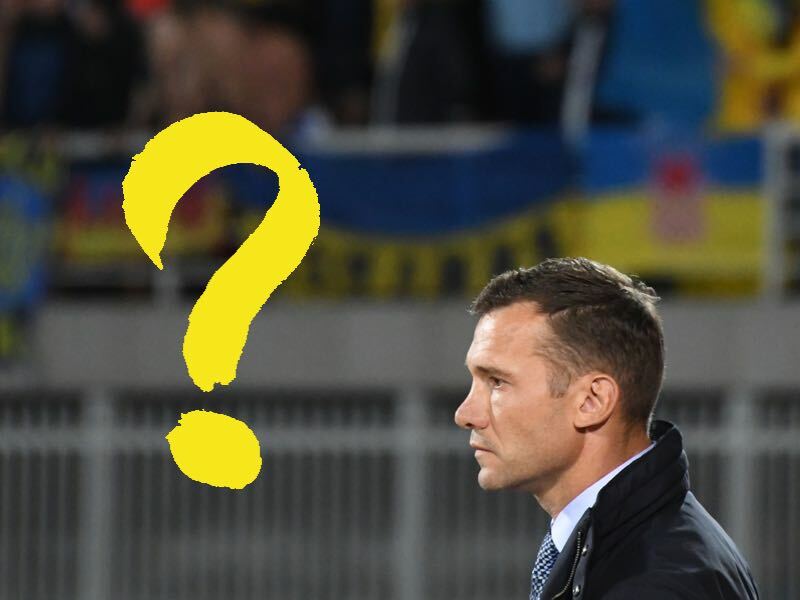 Zbirna World Cup Failing – Should Shevchenko Stay or Go? Here it is we now have 23 out of the 32 teams heading to Russia nailed down. A final round of UEFA qualification and intercontinental playoffs will determine the final nine teams, who will head to Russia next summer. Not among them will be the Ukrainian zbirna (national team), who lost their final game against Croatia on matchday 10 of UEFA qualification. Handed a tight group that included Iceland, Croatia, Turkey, Finland and Kosovo World Cup qualification was always going to be a rocky road for the zbirna. At the same time, the team had a realistic chance to advance to the playoffs on matchday 10. A victory over Croatia would have sealed the deal, and with the game tied 0-0 at halftime, the outlook was positive. Ukraine were the better team in the first half with more ball possession (51% to 49%) more shots on goal (7-3), more shots inside the box (2-1) and also had the only clear-cut chance. What followed was a complete meltdown in the second half in which Croatia completely controlled the match. Croatia took over the match keeping Ukraine away from their offensive end only allowing one shot on target. The Croatians also displayed more accuracy with 191 passes completed as opposed to 168 passes completed by Ukraine. Their attacking line-up, led by the likes of Mario Mandžukić, Ivan Perišić and Andrej Kramarić then took command, and it was Kramarić, who would sink Ukraine’s World Cup dreams by scoring in the 62nd and 70th minute of the game. As a result, the zbirna will not take part in Russia. Following the match, some clever English journalist tweeted out that the participation of the country would have been in doubt anyhow because of the conflict in the Donbass. Whether Ukraine would have gone was, however, never really in doubt as individual players, the FFU and the players union have consistently pointed out. Furthermore, the Ukrainian football media, which is very much in tune towards the connection of politics and football, the focus after the defeat was mostly on the shortcomings of the zbirna rather than any political fallout of a successful qualification. One of the big topics, of course, has been whether Andriy Shevchenko should continue leading the Ukrainian national team. Shevchenko, of course, has often been seen critical within the Ukrainian sports world. One source of criticism has been his lack of eloquence towards the media. The fear has always been that his unimaginative presentation towards the press will be expressed on the field tactically. 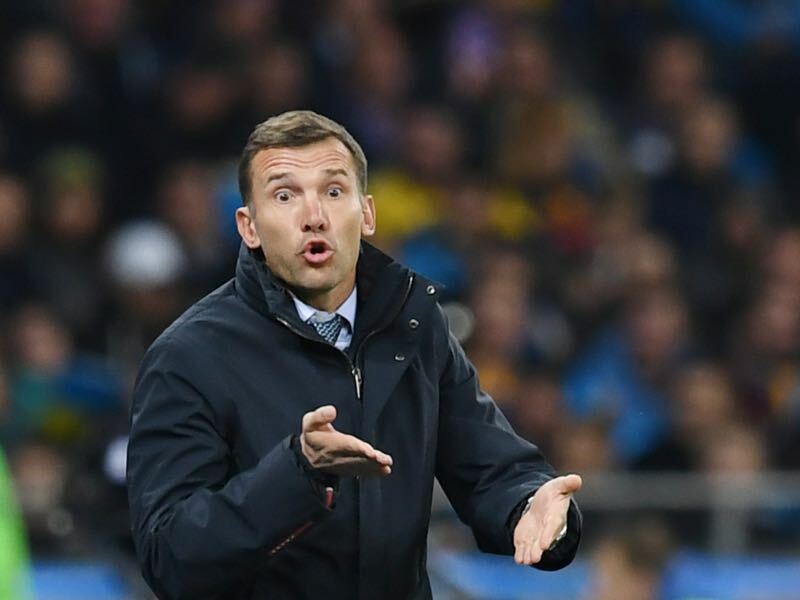 Shevchenko has to take some blame for what happened at the Olimpiyskiy on Monday. Ukraine’s performance after the halftime tea was uninspiring, which indicates that whatever Shevchenko told his team it did not transpire into a positive performance. In fact, his team froze, which reflects badly on the head coach, but at the same time, the question should be asked whether we could have expected more from this team. Looking at the line-up of the zbirna on Monday what becomes immediately apparent is that they were facing a superior side in Croatia. Only Yevhen Konoplyanka and Andriy Yarmolenko play in a top European league. Of those two only Yarmolenko has stood out in recent weeks. But at the same time, Yarmolenko seems somewhat involved with his recent move abroad. At Borussia Dortmund, the coaching staff and his new teammates have already praised Yarmolenko as a strong leader, a finished product, a player who can lead—unfortunately for Ukraine that was not on display on Monday only because Yarmolenko has little to no support from the squad. Players like Taras Stepanenko, Ruslan Rotan, Yevhen Khacheridi and Yaroslav Rakitskiy have the experience to lead, but all had faltered on several occasions when leadership was required the most. Konoplyanka in the meantime is an artist who is not shy to express his opinion; at the same time, he is too individualistic to support Yarmolenko as a leader. All of this attributed to the defeat on Monday. The question now is whether Shevchenko can make a significant difference to these problems in the next qualification cycle. In all honesty qualifying for the 2020 European wide European Championships should not be an issue with this squad. The problem, of course, is that this also means that there will be little clue until the actual tournament begins whether Shevchenko is the right man for the job. Shevchenko is now 41-years old, and the zbirna is his first coaching position. Most modern coaches start their career at the youth level at a major club and then work their way up to a top spot. Shevchenko never had to face the kind of adversary as a coach that is necessary to push players to the next level. This leads to a tough question should he stay or should he go. We pretty much got the answer already, as he will be allowed to continue by the Football Federation of Ukraine. On paper that is not a wrong decision as Shevchenko realistically got the most out of this squad. But for him and the zbirna, a change might have been a better solution.